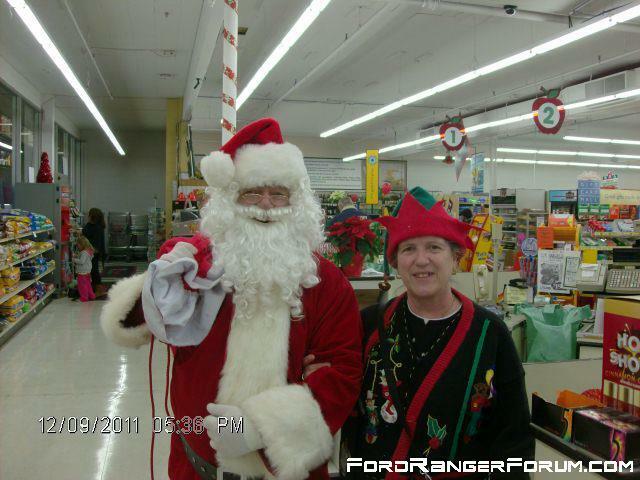 For several years I have been Santa for private parties and local business. I love seeing the joy in the eyes of the little ones. Then I don't turn away the older ones either. Ultragauge, 10" L7 W/ 2200W PA Amp, CB W/4' Fiberglass whip, PA system, LEER shell w/led 3rd brake and custom remover, LED taillights in mudflaps, 5K 55W HIDs, Aux reverse lights, DIY bed liner, Hellas, Bed mat (cut up livestock mat). Hey Paul, Just wondering, How old are you? Well since you asked I am 60 and still kickin'. The wife says that I will never grow up, I mean really look at my truck! Hey Paul, where are your three ho's? lol. Merry CHRISTmas brother. How old is that girl, and what did she ask Santa for XMAS? LOL, I do love Christmas. Thanks for the comments and I did see a couple of Hos, I mean HO HO HO. Merry Christmas to all. She's 17 so be careful and I can't tell you she wants from Santa. I didn't say I wanted her. 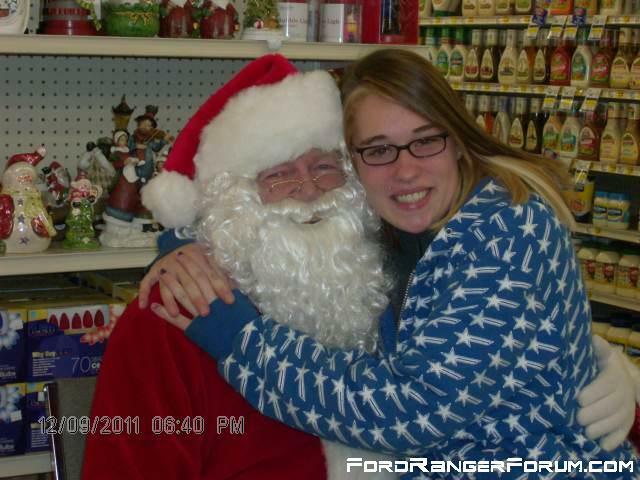 I just asked how old she was since I think she is a little old to sit on Santa's lap, wouldn't you say? Here's a picture of me and Mrs. Claus. Merry Christmas to all! HO, HO, HO. Last edited by Pbav8tor; 12-11-2011 at 07:05 PM.